Laura Wingate’s life in New York City was falling apart. The man she wanted to marry could not commit, and her job as a museum exhibitions manager was growing stale. Needing to reexamine her life, she packed up and temporarily returned to Magnolia House on the outskirts of Alexandria, Louisiana. A place she had shared many happy days with her grandparents. Along the way, Laura met Kendrick Reynolds, a Hollywood Director, and learned he was preparing to direct a movie, in and around Alexandria, based on the American Civil War’s Red River Campaign. She soon became enchanted by Kendrick, but a forgotten high school classmate competed for her attention, putting Kendrick in danger. 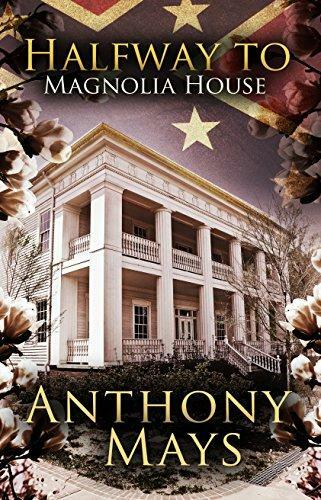 With film production underway, Laura became intrigued by the historical events of 1864, and the rumors about Magnolia House’s involvement with the Underground Railroad. An artifact she discovered in the attic suggested the rumors were not unfounded, but she could not decipher its meaning. When her two suitors accidently stumbled across the evidence she was looking for, they put aside their differences, and made a pact to keep it from her. Little did she suspect, the past was going to collide with the present and change her forever.